When discussing the Watch’s tethering to an iPhone, Pogue reveals a few pieces of information about the Watch that Apple has yet to comment on in any promotional material for the wrist-worn device, mostly regarding some cellular-related functionality sans iPhone. And here’s a surprising feature that Apple hasn’t said anything about previously: When the watch is in a known Wi-Fi hotspot, the watch can perform the most essential online functions even when your phone is completely dead, turned off, or absent. It can query Siri, for example, send and receive texts, and send/receive drawings and tap patterns to other watch owners. That’s impressive. According to Pogue’s week-long experience with the Apple Watch, even with the iPhone dead or turned off, his Watch could still perform these basic iPhone-reliant functions like sending and receiving texts and drawings. He never mentions actual phone calls, which are undoubtedly still reliant on full use of an iPhone. 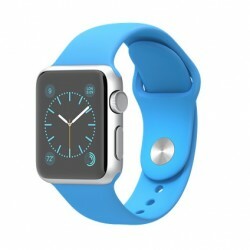 Pogue also mentions the Watch’s ability to communicate with an iPhone over both Bluetooth and Wi-Fi, meaning the two devices can communicate indefinitely as long as they stay under the same Wi-Fi connection even when they’re out of Bluetooth range, a previously known but still notable aspect of the Watch. Apple Pay now available in more stores than ever.